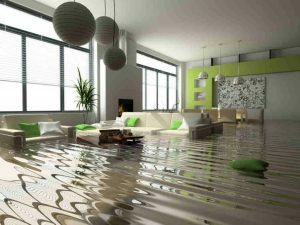 4 Reasons To Jump At Water Damage | Sincerely Yours Inc.
Any type of water disaster in a home or business should be treated immediately. Waiting to tackle the damage and contact a professional water damage restoration company, like Sincerely Yours in Irmo, is going to help the damage spread and turn into a much bigger problem. Without immediate attention, water damage will quickly turn into a large mold problem and eventually eat away at the structure of your home, jeopardizing the integrity of the structure itself. There is no reason to wait. In fact, here are five reasons not to wait when it comes to dealing with water damage. If you are planning to sell your home in the future, know that it does not have to be perfect condition-wise. However, you want your home to be well taken care of for buyers to take considerable interest. If water damage is inside of your home, you might consider throwing in a plethora of air fresheners or painting over the cracked sagging walls, but home appraisers have eyes like hawks, and noses like a bloodhound; meaning that they will most likely be able to see & smell any damage done by water. Once this occurs, your home’s value will substantially decrease, and the number of people who are interested in buying your home will begin to search elsewhere. Wood is a fantastic sponge for absorbing water! However, if that wood happens to be the walls and or floors of your home, it is a recipe for disaster. Gravity seems to work strange wonders when water and wood combine. Water damage may begin at the bottom of one wall, and then over time, find its way to the top, increasing the number of repairs needed. But damp wood is not your only issue. If water damage is left untreated, it could also lead to the growth of mold which is hazardous to the health of anyone, human or animal that resides within the mold’s vicinity. Whether they are outlets, wires, surge boxes, anything electrical will prove potent when mixed with water. Even if the water around electrical appliances is minimal, it is highly recommended that you shut off the power and consult a professional before moving if possible, the electrical devices. This will help reduce the chances of injury and or death via electrocution. It may seem contrary to what we believe the creation of pipes and plumbing are for, but there is such a thing as too much water flowing through your drainage pipes. Standard water from the tap is the only type of water that is meant to flow through your pipes. Flood water possesses minerals, shards of metal, or glass and various toxins that can corrode or even damage your pipes if left untreated which could lead to burst pipes. Water damage is never an issue one should take lightly. Like any other problem, it should be handled immediately to limit the amount of damage and keeping it from spreading. If you do encounter water damage, give Sincerely Yours a call today! They serve Irmo and the surrounding areas gracefully when it comes to 24/7 water damage repairs, and have kept homes “clean as a whistle since 1959”.